Our family has farmed the same land in central Illinois for decades, and a love for farming runs long and deep in our history. 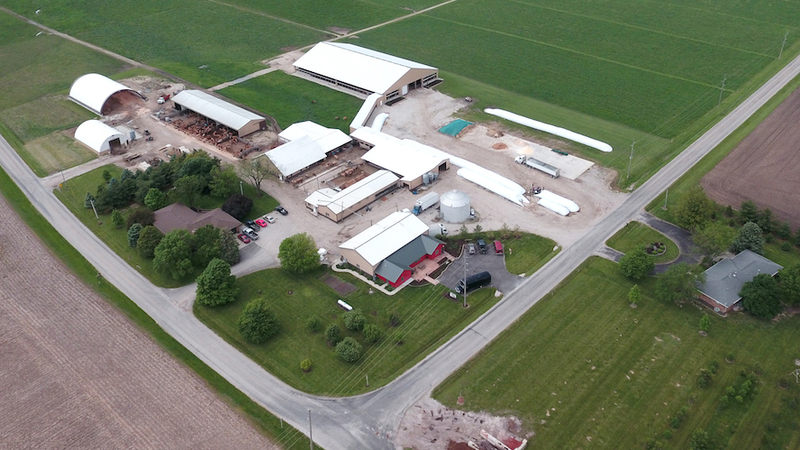 We became dairy farmers in the 1950s, and as times changed and our family grew, we worked together to devise creative solutions to diversify our farm business and include more family members. This led to falling in love with Jersey cows and sending them out to pasture, building an on-farm creamery to bottle our own milk, and finally to raising goats, steers, and hogs to provide a line of farmstead meats. 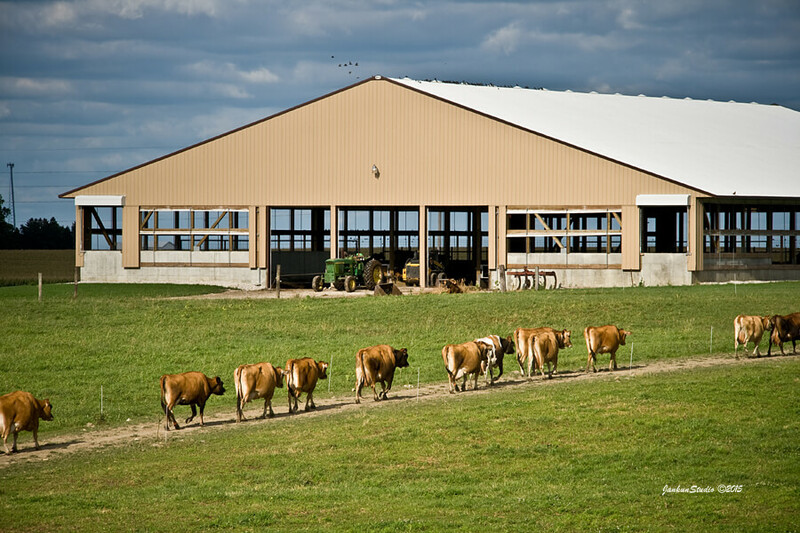 Our original dairy farm has evolved into a multi-generational independent family business with four families working together to produce, market, and distribute Kilgus Farmstead dairy and meat products. 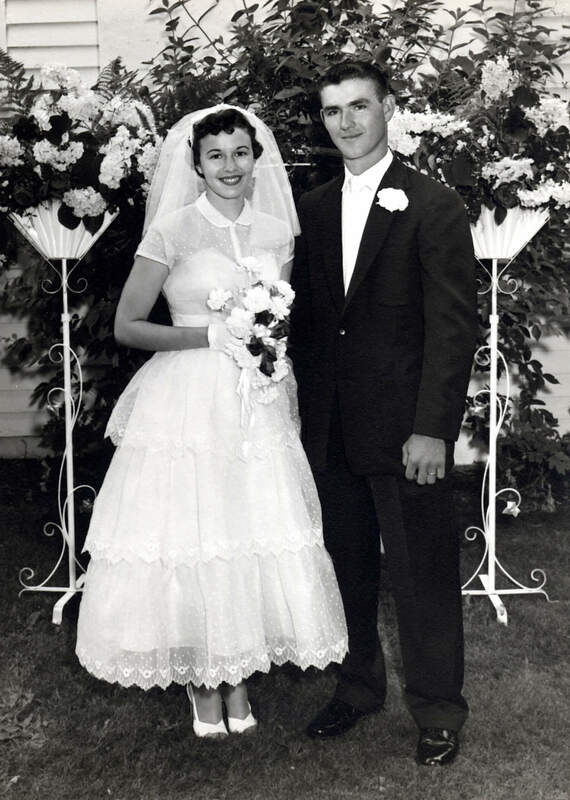 Kilgus Dairy was founded by Duane and Arlene Kilgus in Fairbury, Illinois in 1958. 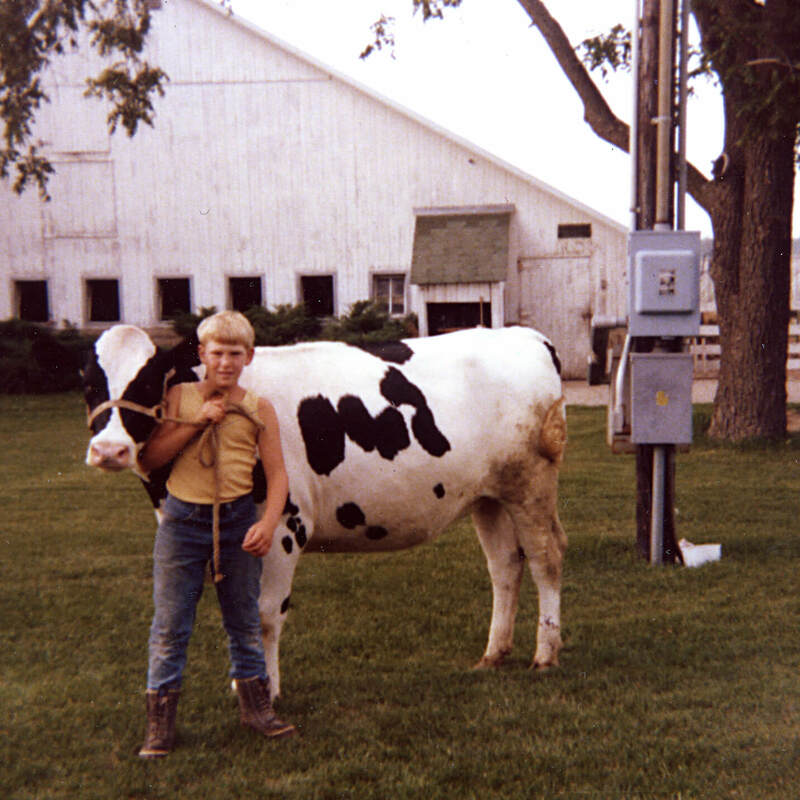 The farm was purchased from Duane’s father, Herman Kilgus, who owned the land and milked a handful of cows during Duane’s childhood. When they married in 1955, Duane owned and operated a grocery store in town, but soon realized that he needed to be outside working on the farm. Given that Arlene had grown up bottling milk on a dairy farm, she was supportive of making this leap to start their own farm. Duane and Arlene Kilgus started milking 55 Holstein cows and sold their milk into a local cooperative for over 30 years. They raised seven children together, and many of their children and grandchildren share Duane and Arlene’s innate love for farming. When a farming accident caused Duane to have to give up his life’s work in 1989, the next generation stepped up to take over the dairy farm. Seeking a way to earn more income to preserve the family farm, Duane Kilgus’s sons Paul and Jeff grew the dairy herd. They also made the decision to transition from Holsteins to Jersey cows because Jersey milk demanded a higher price in the commodity market due to higher butterfat content. Less than ten years after passing the farm on to the next generation, tragedy struck the Kilgus family again, and Duane’s son Jeff died of cancer. Duane’s grandson, Matt Kilgus, began working full-time on the farm in his father’s place. He was only in high school at the time, but became a full partner with his uncle Paul after graduating from college. In their new partnership, Paul and Matt made another major change to the farm. After learning about the benefits of pasturing dairy cows and how well-suited Jerseys are to the grazing life, they decided to implement seasonal rotational grazing on the farm. They converted over 50 acres of good black soil once used for growing corn and soybeans into 17 grazing paddocks planted with lush rye, orchard grasses, and clover. Still considering how to best preserve the family farm for future generations, Matt and Paul and their families explored many options. Ultimately, after intensive research and planning, they decided to build an on-farm creamery. 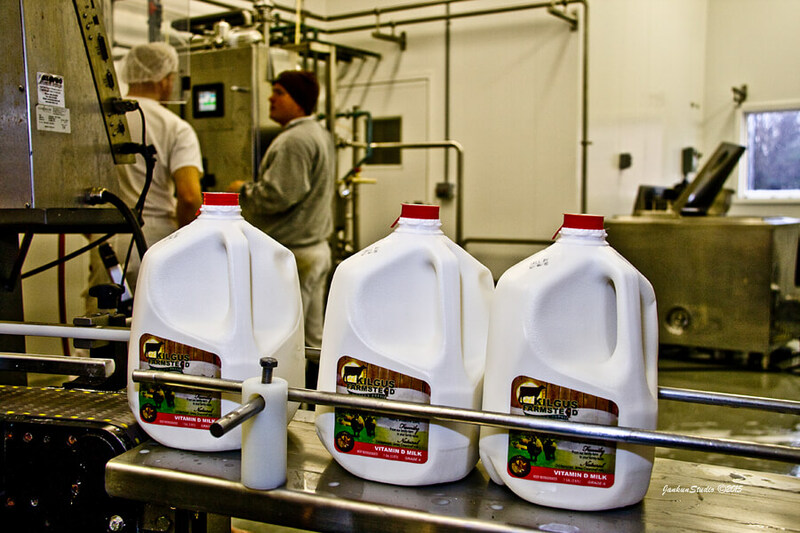 In 2009 Kilgus Dairy began bottling and distributing their own milk and Kilgus Farmstead was born. 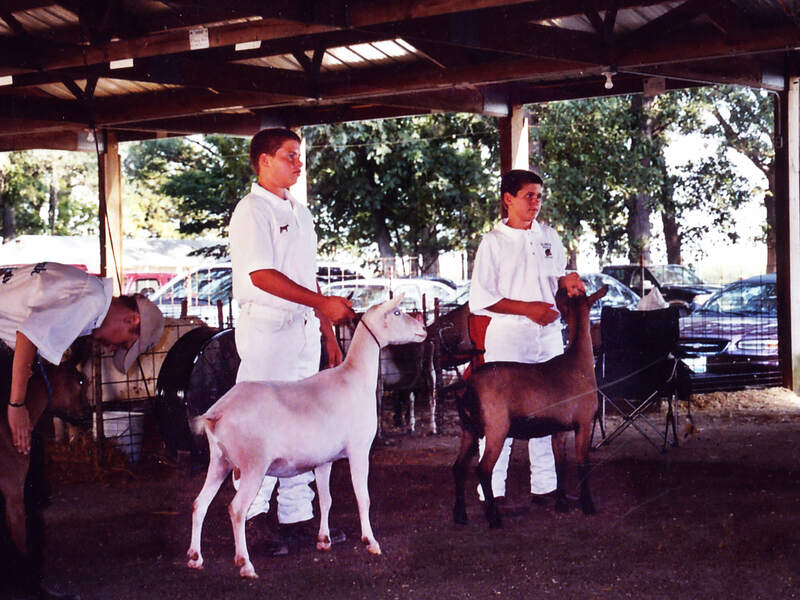 Meanwhile Paul’s sons, Justin and Trent Kilgus, started raising goats as part of a 4-H project while they were still kids themselves. They did their homework and learned that there was a growing demand for goat meat in Chicago restaurants, and that the Boer breed was the best choice. They applied for and received a grant to build a large permanent hoop structure for their goats, and then began supplying Chicago restaurants with the meat. Demand for Kilgus goat meat grew rapidly, and before long they were ready to turn their hobby into a business. They also had an interest in raising hogs and steers to develop a line of farmstead meats, which led the family business in another new direction. In 2015, Justin and Trent and their line of farmstead meats were incorporated into Kilgus Farmstead. We have 160 registered Jersey milking cows on our farm. The Jersey cow gave us the best opportunity to showcase a premium product, as Jersey milk is nutrient-dense with a rich flavor and full body. 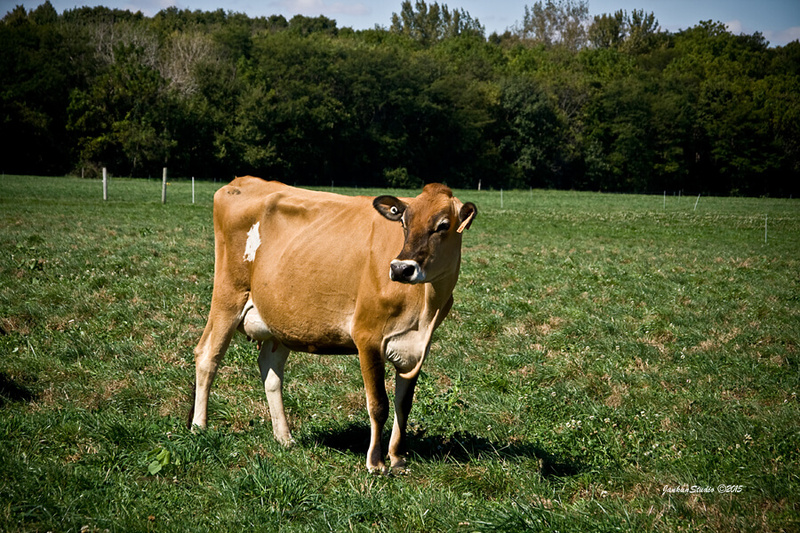 We also enjoy that Jersey cows are smaller and more docile than Holsteins, and excellent, efficient grazers. While we originally made the decision to transition from Holsteins to Jerseys to produce milk with higher butterfat and protein, we have since fallen in love with these little brown cows. From April until late November, our dairy cows are out grazing in our pastures. Every night, after the evening milking, the cows are led out into the pasture. In the morning, they return to the barn for another milking. In our pasture system, our cows are rotated to a fresh paddock of grass every 24 hours. The cows eat a paddock down and then transition to the next, allowing each paddock a period of two full weeks to grow back before it is grazed again. We mow the paddocks a few times every year to help keep the grass fresh and to prevent weeds from growing; no chemicals are ever sprayed on our pastures. This system allows us to provide the highest quality grasses for our cows to eat, and also to maintain the land in the most natural state that we can. 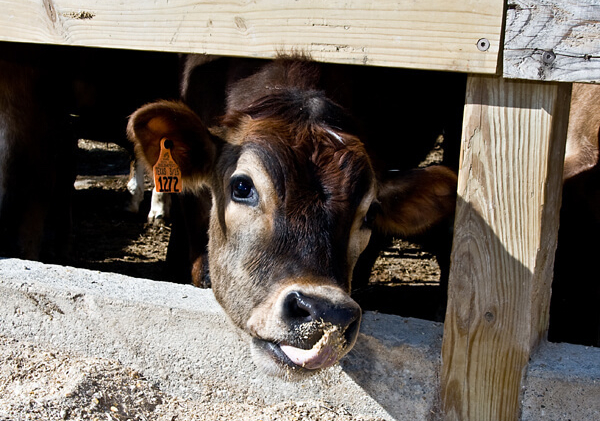 During the winter months, our cows are fed a mixed ration of our own non-GMO corn silage, grass hay, and alfalfa hay. In the summer, their diet is also supplemented with the same mixed ration as needed. In addition to spending time outdoors grazing as weather permits, we also have a compost bedded pack barn where our cows are free to roam and can lounge and relax comfortably in deep, soft compost bedding. The whole goal is to provide the maximum quality care for our animals to in turn produce a very healthy, high quality product. We have healthier cows that live longer. Grazing outdoors is easier on cows’ feet and legs (versus standing on concrete) and they stay healthier out in the fresh air. The life expectancy for our cows has increased to over eight years, which has also allowed us to increase our herd size from within. It’s good for the environment. Since our cows do all their own harvesting of pasture grasses, we don’t burn as much fuel harvesting feed. The cows also spread their own waste into the pastures as they graze, supplying valuable nutrient-rich fertilizer back into the land and preventing the need for chemical fertilizers. Milk from pastured cows is better for you and is more delicious. It has been shown repeatedly that milk from cows who graze on pasture has more nutrients that benefit consumer health including vitamin E, Omega-3 fatty acids, beta carotene, and CLAs (Conjugated Linoleic Acid). In addition milk from pastured cows reveals the seasonality of the grasses they are grazed on in subtle flavor variations throughout the year. The milk tastes rich and delicious. We save money. We spend less on traditional feed and have calculated that our costs are $3-4 less per hundredweight of milk than confinement operations. Our creamery is intentionally located on our farm and attached to our small country store. We have a large viewing window in the store that allows customers to watch us bottle our milk. Locating the creamery on the farm enables us to easily access our cows and to bottle extremely fresh milk. It also provides our customers with the opportunity to see not only how our milk is processed, but also how our animals are cared for. We sell our milk in our small country store and distribute it to restaurants, retail stores, and institutions throughout the state of Illinois. 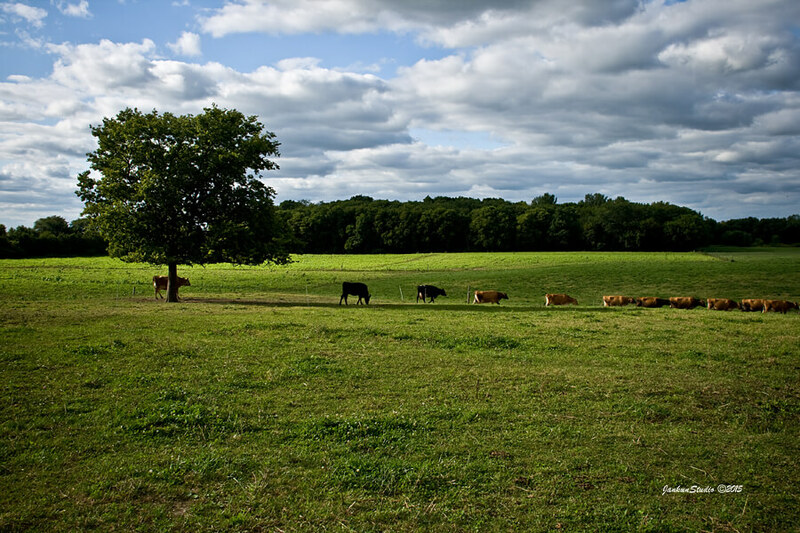 The farmstead meat business has grown up along with our creamery, providing additional opportunities to include more of our family in the Kilgus Farmstead business. Our meat animals are not turned out to pasture because we find that a rich corn-based diet results in the tastiest meat. Raising steers for beef stems naturally out of our dairy operation, and we are able to grow our Jersey herd according to demand for both milk and meat. We typically have about 140 Jersey steers on our farm. Our steers live in open pens and move about freely. 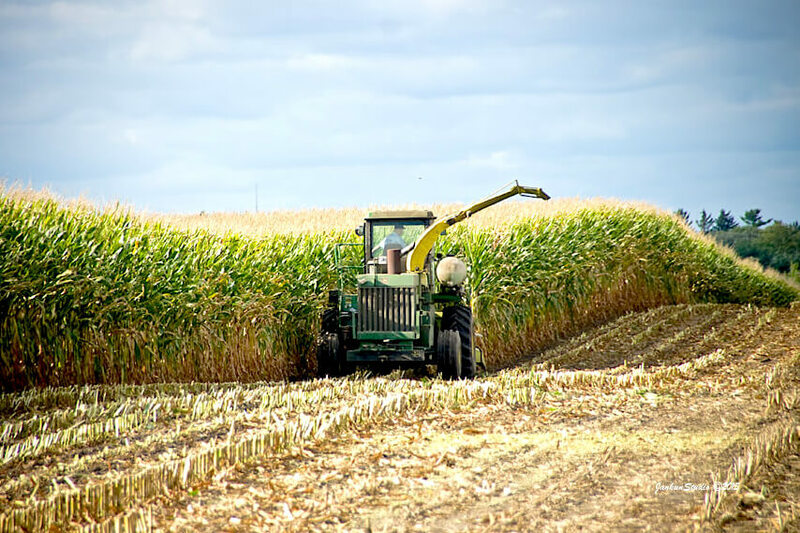 They are fed non-GMO corn and corn silage grown exclusively by the Kilgus family. 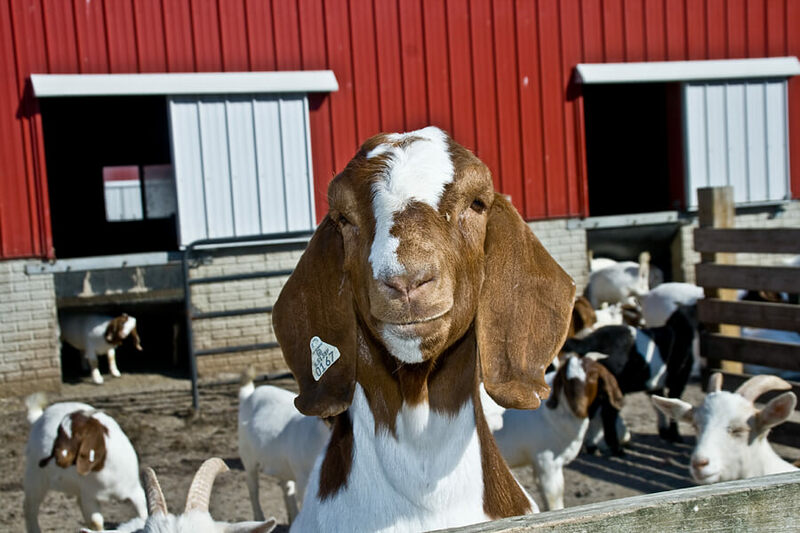 Kilgus Farmstead raises Boer goats. Different than dairy goats, this breed has been cultivated for high-quality meat since the early 1900s. We have about 500 goats who live indoors and outdoors and our kids are birthed in a heated maternity barn in February through May each year. Our goats are fed a diet high in our own non-GMO corn. We raise heritage Berkshire hogs for their high-quality pork. 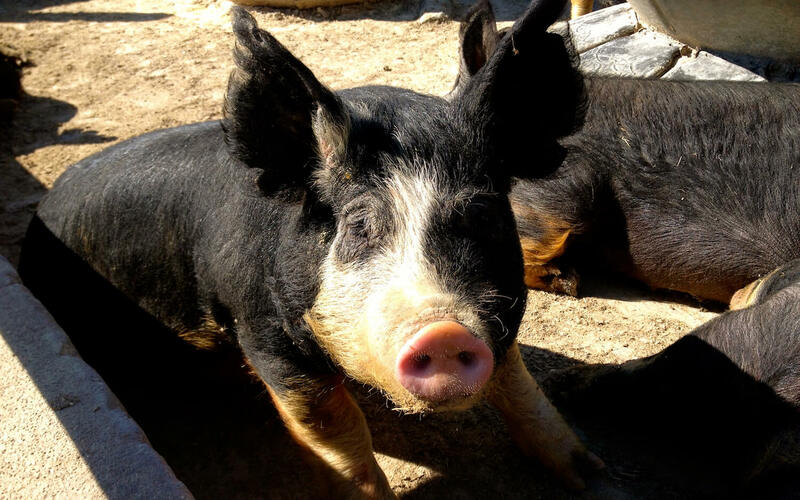 We farrow our own Berkshire sows and raise approximately 150 hogs on our farm. Our hogs get to stay warm and dry in the barn and also root around in the mud outdoors. They are fed a high-quality diet of non-GMO corn grown by the Kilgus family.